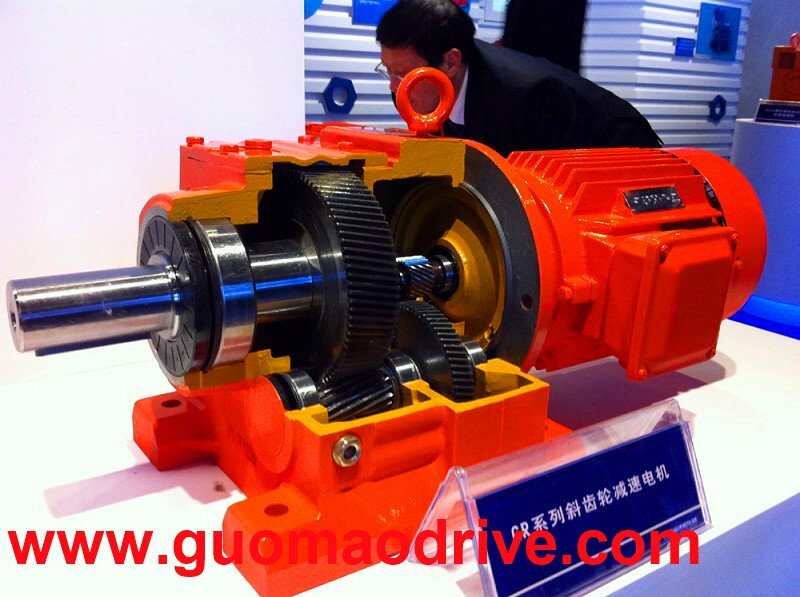 As a widely used type power transmission drive, R series helical gearmotor plays very important role in industry manufacturing. 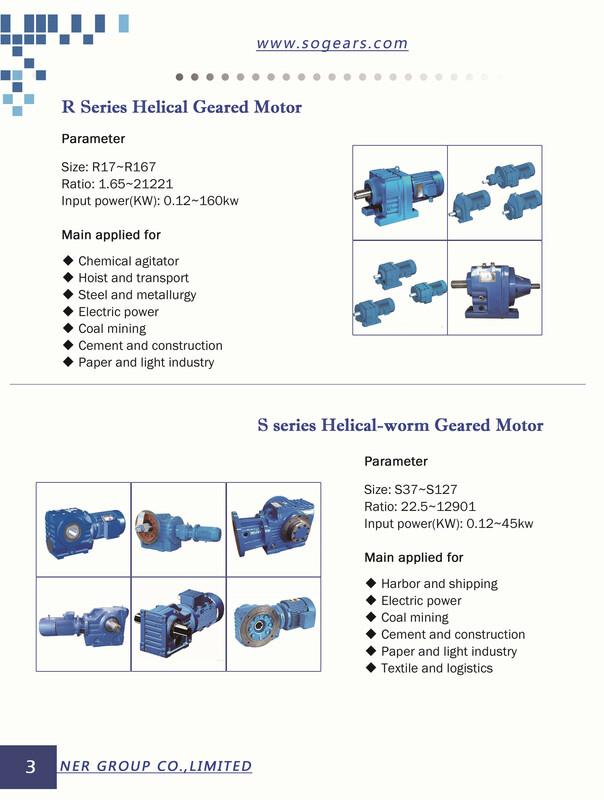 All dimensions of our R serial gear speed reducers are same as SEW's R serieal. Which can be well coupled as a replacement, but much more cheaper. We have multiple kinds of mounting ways for this type, foot mounted, vertical mounted, flanged mounted, long shaft mounted, and others. The gears from two stages to four stages, which can make larger torques. For the motor connected, It can be coupled with AC motor or DC motor. 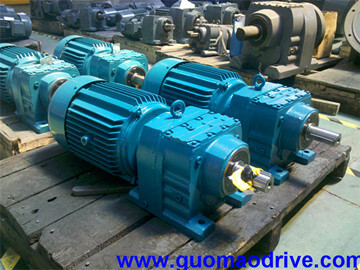 For AC motors, Y2 series standard electromotor or YD two speed electric motor or other types motor. IEC motor NEMA motor can be fit as well. In a word, we can change the flange of the inoput side of the gearbox to make well fit in the types of motor. For the DC motors, we usually connect with Z4 serial DC motor whose power from 0.05kw to 300KW. There are plenty of mounting ways, from top to bottom or left or right. It concerns about the oil leaking. So this is a important factor for customer to choose the right model. The shaft is with key and diameter depends on the real working requirement. The rotation direction can be changed as customer's requirment. Both clock-wise and unti-clockwise is okay. Also, if need more torques and less ratio, we can make two or three different model numbers gearbox jointed as one unit so that it can make a ideal reduction ratios.